True to its title, the position of maid of honor ranks among the most honored positions in a wedding party. When a happy bride asks you to be her maid of honor, she is really asking you to share and play a pivotal role in the most important day of her life. After all, aside from the groom, the maid of honor is the person who stands beside the bride at the altar on the day of the wedding ceremony. And aside from the mother of the bride, the maid of honor is the person that the bride will look to for advice, support and encouragement during what is sure to be among the most stressful, challenging and momentous days of her life. Indeed, during a typical wedding day (if indeed there is such a thing), the maid of honor will act as a best friend, a personal counselor, a motivational speaker, a fashion consultant, and a personal assistant. And, after the ceremony, she will also act as a speech maker; delivering the very best maid of honor speeches. That’s right. As one of the most important figures in any wedding ceremony, the maid of honor will be expected to deliver a speech at the event; a short but powerful narrative that will stand as a divine tribute to the bride and groom (yep, you’ll have to mention that guy too), as well as a memorable chronicle to the equally loving and important relationship that you share with the bride–that timeless bond which no doubt inspired her to name you her maid of honor in the first place.…and ‘honor’ you may not even want once you consider all of the responsibilities attached to it. If you are ready to bale on the ceremony and head for the hills (or perhaps just the nearest tavern), then it may be time to pause, take a deep breath and put things in perspective. Preparing and delivering the perfect maid of honor speech is not as difficult as it may seem; all that is needed is a bit of preparation and a lot of heart. The first step in preparing the ideal maid of honor speech is consulting some solid, effective, and downright inspirational maid of honor speech examples. In seeking some fitting maid of honor speech examples, you should look for those that attain a refined balance of sweetness and sentimentality, intelligence and significance. At the same time, they should be general enough to be used as a model for any type or variety of ceremony. 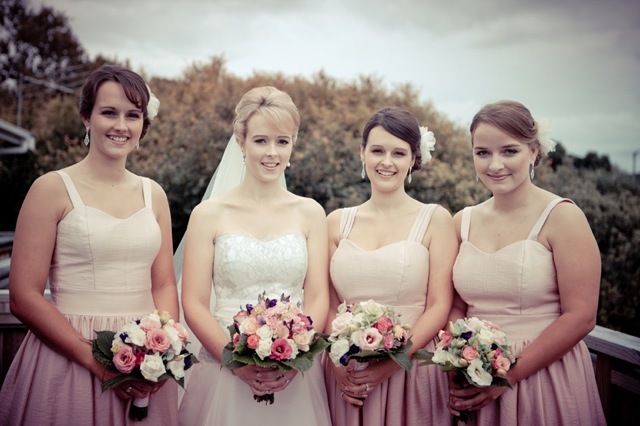 At the same time, it is also good to find and use examples that apply to specific categories of maid of honor speeches; and, for that matter, to particular types of maid of honor. If you are serving as the maid of honor at your sister’s wedding, for example, then you should definitely check out some maid of honor speeches for sister. After all, as a blood relative to the bride, you know her better than just about anyone. Surely you have some priceless memories and anecdotes to share about the bride; and of course you more than anyone else want everyone to know what a very special person the bride is—and just how much she has anticipated this, the most special day of her life. When one thinks about it, the bride’s sister makes the ideal maid of honor; and should come to the event of her sister’s wedding prepared with the ideal maid of honor speech. When it comes to a maid of honor speech, the bride’s sister should deliver an oratory that comes straight from the heart; one that heralds and honors the bride by listing and trumpeting her best qualities. Sing your sister’s praises as you have probably done before; only now you have an audience to whom you can relay what you have known all along—that your sister is not only a beautiful and elegant bride, but one amazing woman. 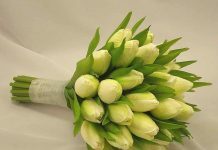 Also remember that this is your last opportunity to send your sister the best wishes for the future; to convey all of the goals and dreams you have for her in her new married life. Surely as the two of you grew up together, you daydreamed about the perfect lives that you wanted for yourselves—and for one another. Remind her of these plans and visions, and communicate your strongest and fondest wish that they will all come true for her. Tell her how much you look forward to seeing her first home, to being a proud aunt, to hosting her anniversary parties. Most of all, tell her how deeply honored you are that she chose you to be her maid of honor. And be sure to tell her how much you love her. Whether you are the sister or best friend of the bride—or, for that matter, the cousin, niece, close co-worker or former college roommate of this special lady—you may opt to truly distinguish your wedding day oratory with a little tasteful, well-placed humor. Do not be afraid to make funny maid of honor speeches; after all, while a wedding is a significant and timeless occasion, one that must be celebrated with grace and respect at all times, the wedding reception is really just one big party—the time when everyone relaxes and unwinds after a day of emoting, honoring and loving. And just as people will drink, dance, and eat copious amounts of cake at the wedding reception, they also long to laugh. When composing a funny maid of honor speech, it is perfectly acceptable and encouraged to relate humorous anecdotes from your life with the bride; whether they take the form of treasured childhood memories or more recent stories from a shared vacation or day spent together. Gentle jokes related to married life are also acceptable, as are humorous and time honored adages on this same subject. Of course, one must remember a couple of basic guidelines when delivering maid of honor speeches. First and foremost, all jokes delivered throughout the course of the speech should be tasteful and age appropriate. This is the wedding after all, not the bachelor party, and chances are that both grandparents and younger siblings, nieces and nephews will be in attendance; as will a bride who wants a perfect day untarnished by awkwardness or embarrassment. Along these same lines, when sharing light anecdotes as a part of your speech, try to omit stories that might highlight questionable or immature behavior on the part of the bride; or, for that matter, involve any man other than the groom. Do not reveal anything that she would not her groom or her family to know; and always keep a respectful tone when addressing and discussing the bride. Finally, while a few jokes regarding the rigors and trials of married life are expected as a part of any wedding speech (especially when one considers the fact that, these days, they actually sell cake toppers that depict the bride dragging her groom behind her and tossing him over her shoulder, don’t go overboard on quips that cast the institution of marriage in a negative light. You don’t want to frighten the bride and groom on the first day of their new life together, dampening their wedded bliss at the same time that you royally alienate the presiding pastor who just officiated the ceremony! All jokes told during a humorous wedding speech should represent and combine the best elements of the ceremony, in that it should be bright, beautiful, respectful, formal and elegant; and the reception, in that it should be casual, fun, humorous and—most of all—memorable. Ultimately, the maid of honor speech should come from the heart. After all, aside from the day of your own wedding, the day that you stand beside your friend and/or family member in the role of her maid of honor will be among the most memorable occasions of your life. This is a date that you will remember for the rest of your life; and although the spotlight will and should be on the bride for the duration of the day, you too will share this spotlight, as the person who stands at the side of the bride as she promises her life to the groom. And that is exactly how you should think of your maid of honor speech. This is not a challenge or a test; no one will penalize you for forgetting a line or stumbling over a word or two. You are in the company of friends and family members eager to shine you in their own special spotlight; take advantage of this unique opportunity and let your voice be heard. Most of all, let the bride—the one who thought enough of you to name you her maid of honor-know just how much she means to you. 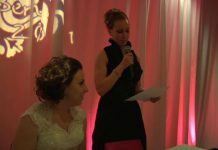 For more information on how to prepare and deliver a winning maid of honor speech, please visit http://www.maidofhonorspeechesandtoasts.com and learn some additional and very helpful hints that will help you give a memorable speech. 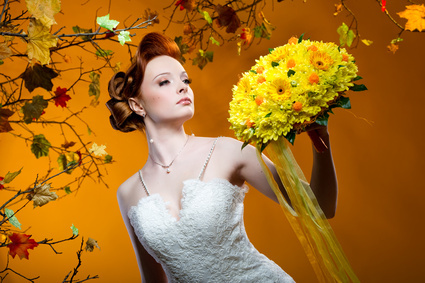 Bridal Bouquets, What’s in Now?